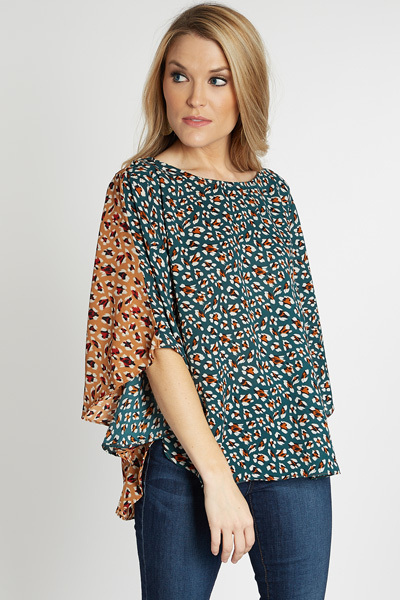 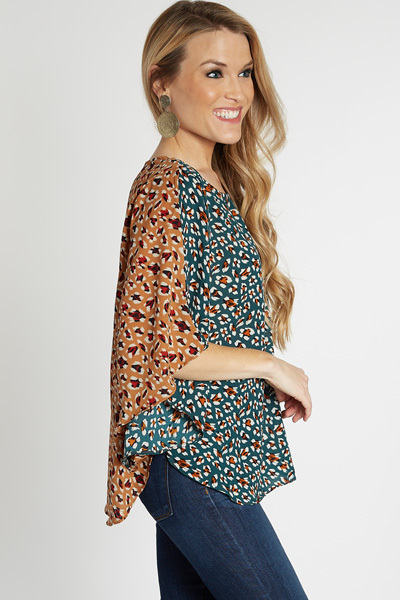 A proven fit, back in a new and unique print! 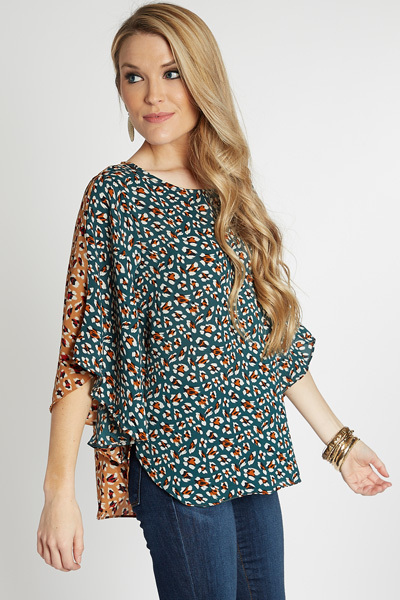 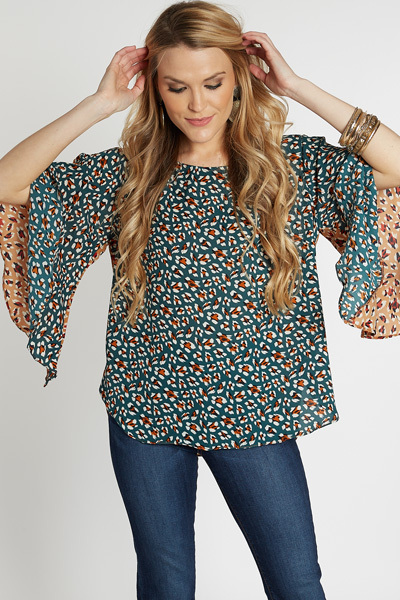 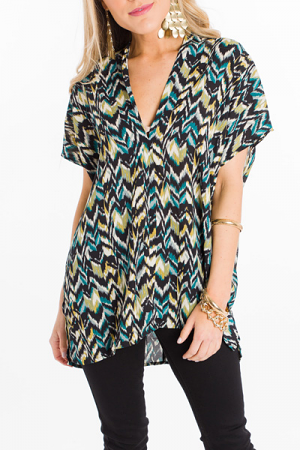 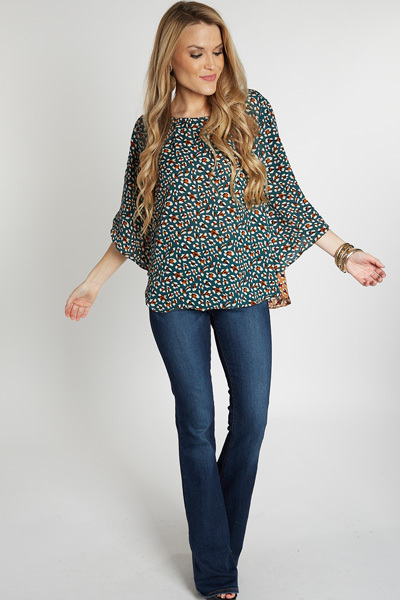 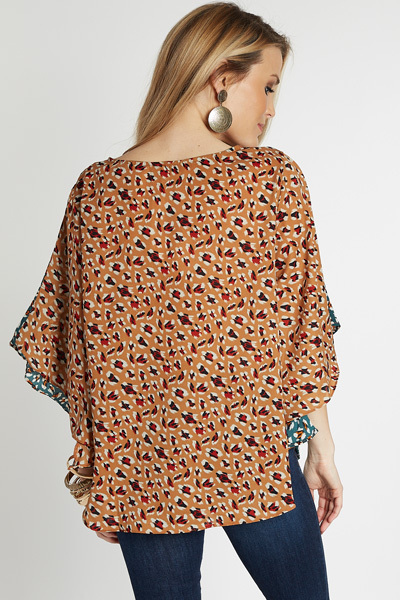 Top features a loose shape, scooped hemline and fun colorblocking. 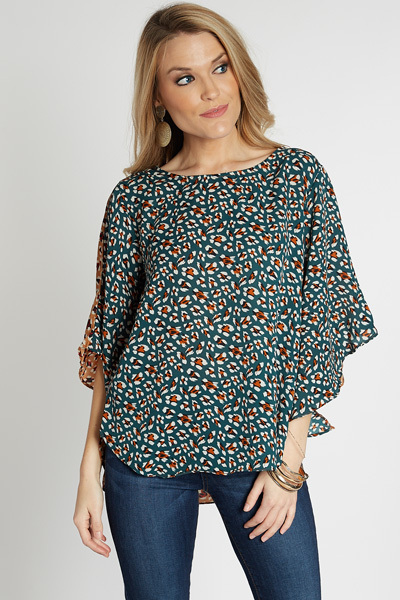 Fabric has a chiffon feel, giving it a dressier vibe, perfect for taking from work to play.